This topic contains 2 replies, has 2 voices, and was last updated by Stefano 2 years, 2 months ago. 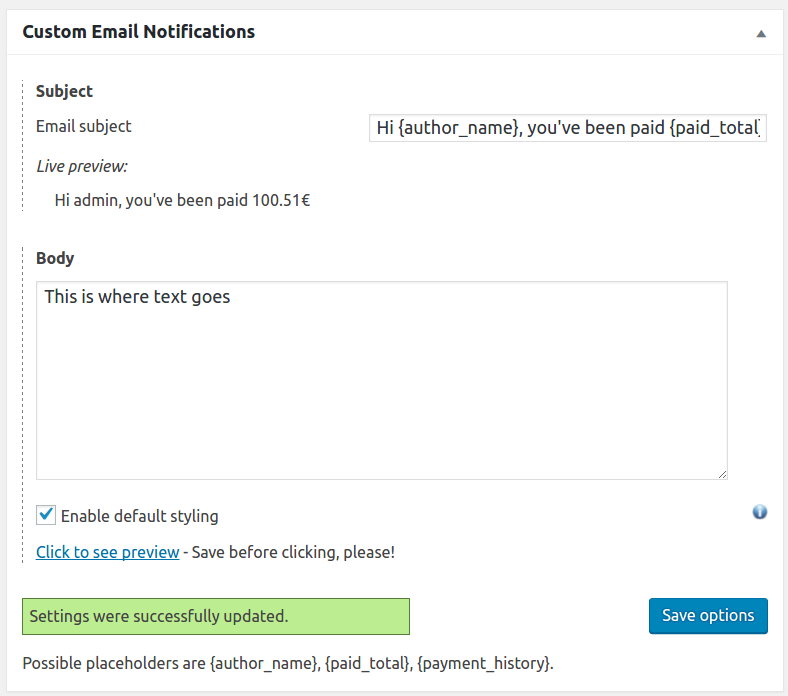 I’d love to be able to change the “You’ve just been paid” email to be a custom one from the team. In the case where we don’t send money via Paypal, the message may not need to be “you’ve just been paid” but rather, you’ll be paid shortly. The topic ‘Change "you've just been paid" email’ is closed to new replies.